Make restaurant style French Fries in your own kitchen! 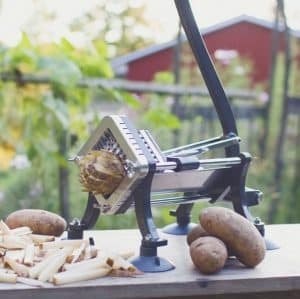 Simply put a potato in the press, push down the handle and you have perfectly cut fries ready to be cooked. Peeled or unpeeled, fried or baked, seasoned or unseasoned … the rest is up to you! 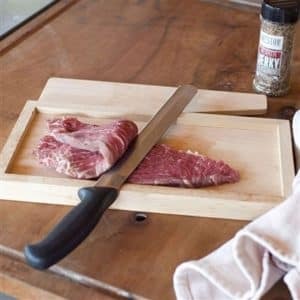 This mandoline slicer is the ultimate slicing tool, with five interchangable blades for a variety of cuts and an adjustable thickness platform. 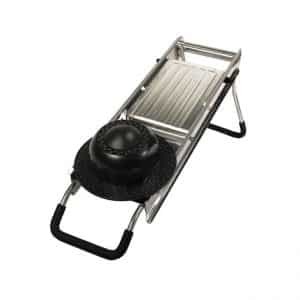 Just insert a blade, turn the thickness adjustment knob, place your fruits, vegetables, or cheeses on the stage, and use the safety pusher to slide your food down across the blade for perfect slices in a flash. Cut perfect waffle fries, crinkle cut pickles, tomato slices, pepper rings, julienned carrots, and much more! 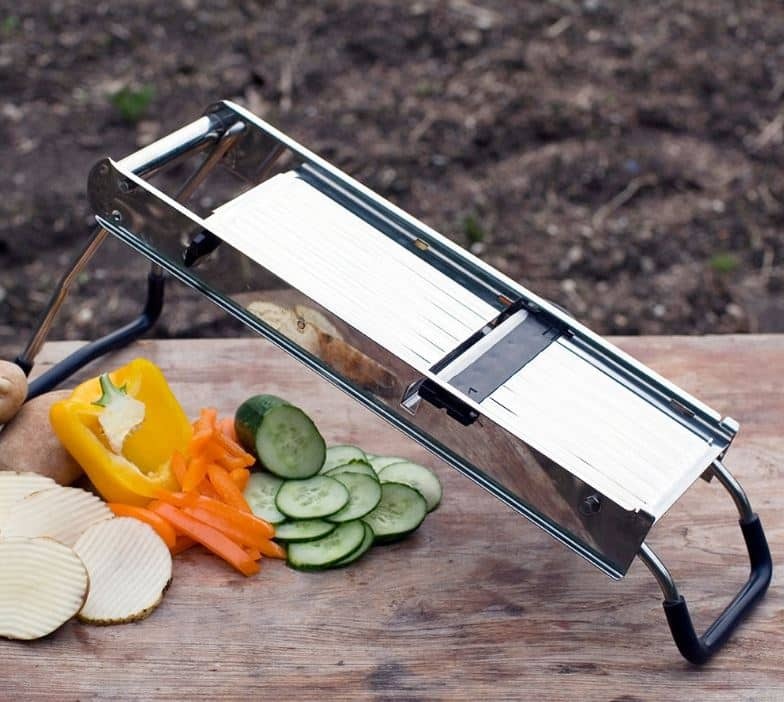 Stainless steel and top rack dishwasher safe. 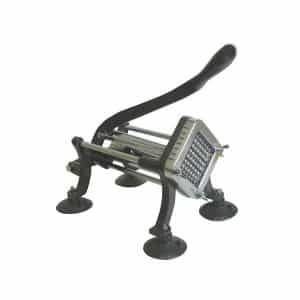 This ratchet-style cutter and dicer is a safe way to prepare food. Give it a simple push on the handle and presto! Perfectly sliced potatoes.